Auckland University of Technology (AUT) is New Zealand’s second largest university with a lineage dating back to 1895. QS World University Rankings puts AUT in the top 3% of universities globally with several subjects placed in the top 250 in the world (Art and Design, Accounting and Finance, Communications and Media Studies, Education, and Computer Science and Information Systems). In addition, the university was awarded a five-star rating from QS in Teaching, Employability, Internationalisation, Facilities and Inclusiveness. 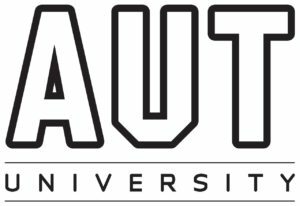 AUT is ranked in the top 20/1st in New Zealand for International Outlook and among the world’s top 600 universities in the Times Higher Education World University Rankings 2016/17. The Certicate of Foundation Studies (AUT) prepares international students for entry into the AUT University's degree programs. Successful completion of the Certificate to prescribed standards guarantees entry to an appropriate AUT University's undergraduate degree. Universities New Zealand has approved the Certificate in Foundation Studies for entry to all New Zealand universities. This program has also been approved for entry to selected Australian universities.